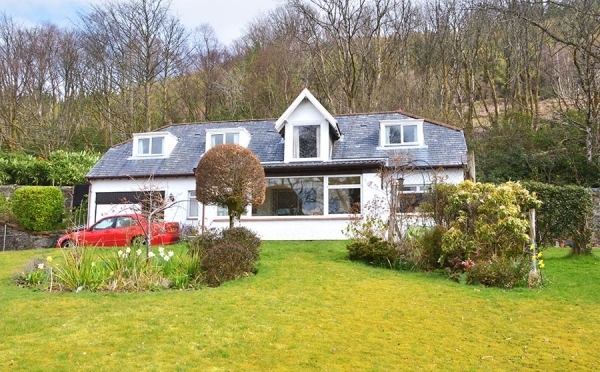 Character property with spectacular views, overlooking the Holy Loch. Sleeps six very comfortably. Ideal for families, with three public rooms. Downstairs: Double bedroom with shower and toilet adjacent, Lounge, Sun Lounge with dining area, Kitchen. Upstairs: Twin Bedroom, Double Bedroom, Bathroom with shower over, Long Lounge with lovely views and a second TV. Mr & Mrs C L Barnes, Garrachrhune, Kilmun, Dunoon. PA23 8SD.